Jasper stone is an aggregate stone, made out of chalcedonic quartz or microgranular quartz. Jasper is typically opaque in appearance and is usually green, brown, red or yellow in coloration, though on occasion blue jasper is found. It would be beneficial to discuss the properties of Jasper to better understand it, so let’s take a closer look at Jasper as well as the terms and concepts used to define it. Jasper is a form of quartz, so let’s take a moment to better understand what quartz is. Quartz is a silicate, a chemical family that consists of compounds made out of both oxygen and silicon atoms. This means quartz is a mineral made out of silicon and oxygen, and the chemical formula of quartz is SiO2, silicon dioxide. Quartz can be found in two different forms: high-temperature quartz and regular quartz. The point at which regular quartz (also referred to as α-quartz) transitions to high-temperature quartz (also called β-quartz) is around 573 degrees Celsius. Quartz is a very hardy and durable mineral, with a Mohs hardness value of around 7. Its durable properties mean that while other stones surrounding it weather away, quartz is often found in residual soil or stream sediment, left behind when the rocks containing it wear away. Quartz is found in areas where containing rocks are likely to erode or weather away, such as beaches, rivers, and streams. Quartz is one of the most abundant minerals that form sandstone, and most sandstone is made out of either feldspar (another silicate) or quartz. Quartz can come in a variety of different patterns and colors. Pure quartz is usually colorless, while other types of quartz can have colors like red, orange, purple and yellow. Types of quartz are classified based upon the type of crystal formations within them. The crystals in quartz present themselves in one of three ways: cryptocrystalline, microcrystalline, and macrocrystalline. Some different varieties of quartz include Amethyst, Ametrine, Carnelian, Prasiolite, Smoky Quartz, Rose Quartz and Citrine. Amethyst is usually purple, ranging from light purple to dark purple. Ametrine is a transparent quartz rock with regions of orange, yellow, or purple. Carnelian is a type of quartz that displays orangish-reddish chalcedony. Prasiolite is a form of quartz that appears with a blue-green or mint green sheen, though much of what is sold as prasiolite is actually heat-treated amethyst. Smoky quartz is either greyish or blackish and gets its coloration the breakup of the silicon dioxide that constitutes quartz. Rose quartz is a pink/redish colored quartz. Citrine is typically colored orange or yellow, though one should note that most yellow/orange stones on the market that are claimed to be citrine are actually smokey quartz which have been treated with heat, as naturally occurring citrine is very rare. While the types of quartz mentioned above were single-color quartz, quartz can also appear in multiple colors. When quartz appears as multiple bands or regions of different colors, this is called chalcedony. Chalcedony occurs because of the cryptocrystalline properties of the mineral, and while examples of chalcedonic stones are usually grayish blue or black/brown chalcedony can appear in a variety of different colors. The various colors that appear within stones displaying chalcedony are used to categorize the stones. As an example, chrysoprase refers to a chalcedonic stone that has blue/green bands due to the presence of nickel oxide in the stone, while agate refers to a kind of chalcedony where there are angular/curved bands of multiple colors. Finally, heliotrope is a kind of chalcedony that appears as bloody looking specks of red on a greenish stone. Aggregate has three different possible meanings when used in the Earth sciences. In terms of how aggregate is used in mineralogy, aggregate stones are chunks made out of a mass of rock particles, mineral crystals, or mineraloid particles. An example of an aggregate, apart from Jasper, is dolomite rock. Dolomite rocks are made out of mineral crystals of dolomite, a carbonate mineral that is made out of calcium magnesium carbonate. Other examples of aggregates are Lapis lazuli, which is an aggregate of a wide variety of minerals like calcite, phlogopite, pyrite, and lazurite. 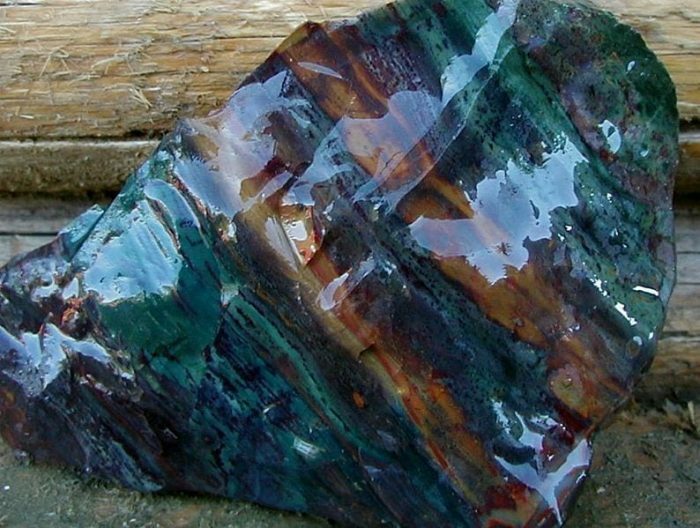 As mentioned, Jasper is an aggregate rock, and because of its aggregate nature it can appear in different colors. Jasper usually shows up as green, yellow, red or brown in coloration. 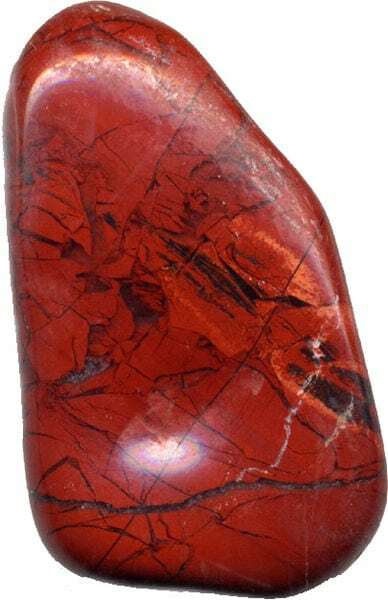 Red jasper is common and results from the inclusion of iron in the aggregation. Jasper has a specific gravity of around 2.5 to 2.9. The patterns found on Jasper show up as a result of the process that forms it, a process of consolidation that occurs during the depositing of volcanic ash or sediment rich in silica. Jasper is often found in rock formations called, appropriately enough, jaspilite. Jaspilite is a banded rock formation made primarily out of iron. Because Jasper can be found in a variety of colors and appears in many different rock formations around the world, the classification of varieties of Jasper is difficult. Jasper samples are often classified with descriptors based around the geographic region where they were found to make the classification easier, but some of these descriptors can get very specific, referencing specific lakes or mountains. The history of human usage of jasper extends at least as far back at the 5th millennium BCE. From the 5th millennium BCE to the 4th millennium BCE, native populations in the Mehrgarh region (an area in modern-day Pakistan) used Jasper to make bow drills. Jasper was also used on Minoan Crete to produce a number of decorative seals sometime around 1800 BCE. 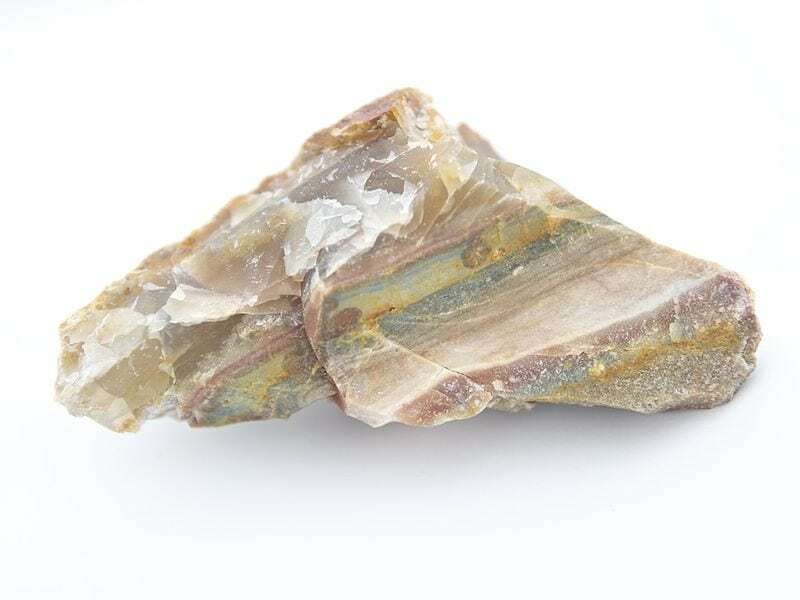 An important fact is that while Jasper is now used to refer to a specific type of opaque quartz, the definition of Jasper was likely much wider in the ancient era and could have included stones that would now be classified as a type of chalcedony.